For the past five or so years wonder ingredient Argan oil has been a huge player in the beauty world, dominating our bathrooms and dressing tables with endless brands creating whole Argan oil ranges to jump onto the trend. However, set for 2015 there is a new must-have oil on the scene that promises even more amazing wonders…the Marula oil. One of nature’s best kept secrets, Marula oil is an all-natural, multi-purpose emollient containing powerful antioxidants, which are 60% higher than the properties of Argan oil. It has highly concentrated nutrients, minerals and essential fatty acids like Omega 9 and 3. These deeply hydrate while healing, moisturising and improving anything from nail health to skin elasticity, whilst its antioxidant properties make it perfect for fighting ageing free radicals. So it’s no wonder that this product is set to be the next big thing. Hand harvested in South Africa from the exotic fruit seed kernels of Marula Trees, this multi-purpose wonder oil hydrates at the deepest level to repair and protect. Part of the reason that Marula oil is so beneficial is because it is made up of smaller compounds than Argan, so it’s absorbed quickly into the skin, without leaving an oily residue. Already ahead of beauty’s next big thing, Ciaté London have introduced this wonder ingredient into their new Treatments range. Not only have they included it in their nail polish remover formula to counter-act the drying effects of acetone, but they are also offering three pretty scented Marula oils to cover different nail needs. 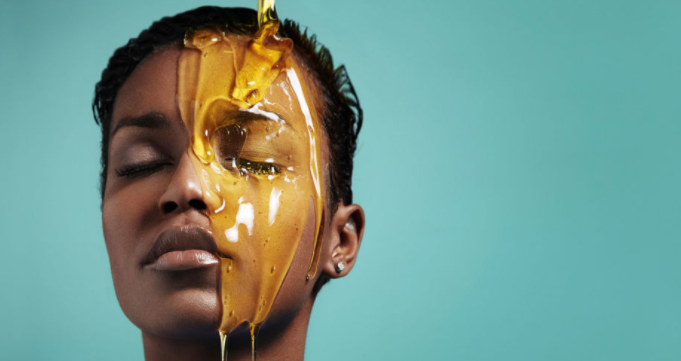 This ingredient has also started to take off in skincare with many brands adding Marula oil to their facial serums and creams to combat ageing drying skin. You can also buy it pure from your local health food store, and simply massage it onto cleansed skin and leave it on overnight to work its magic! Ciaté London Marula oils are just £12.00 – a bargain for the impact on the health of your nails!